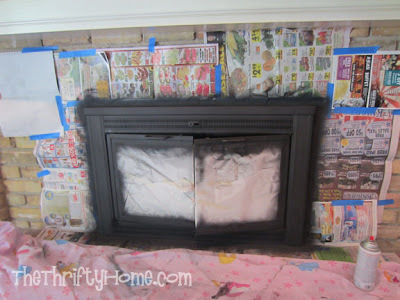 I used a can of Rust-Oleum High Heat spray paint for the fireplace. What a beautiful transformation to your fireplace. 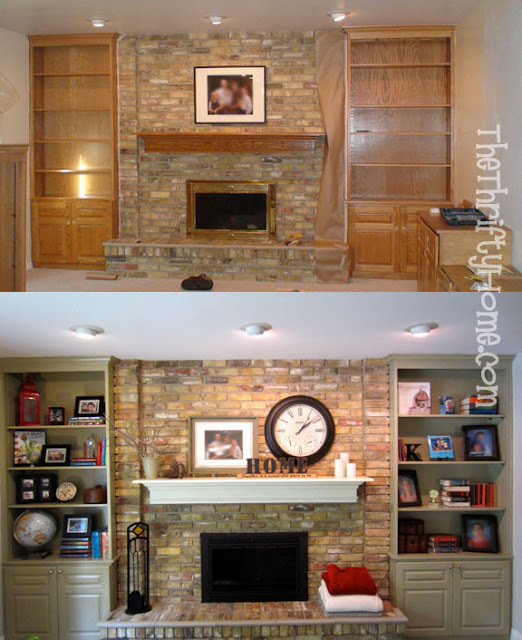 It made such a awesome update to your mantle and built ins. Wow, what a great transformation! It looks beautiful and I love moving the curser to see the before and after! Beautiful job! I love the new look! This looks great! 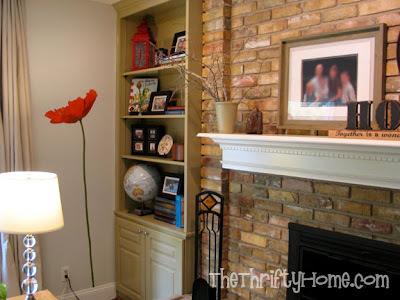 I've been stalking fireplace makeovers trying to decide what to do with ours. Circa 1968, the year the house was built! Love the built ins. We don't have those, boo! Absolutely gorgeous! 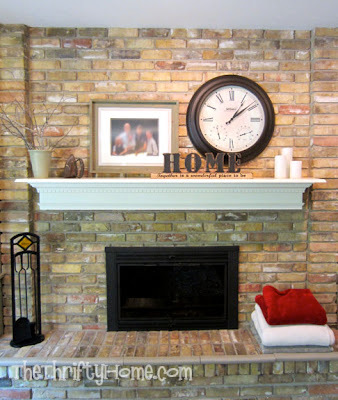 I need some inspiration with my 1970s brick fireplace. This is amazing, great job! Your room is gorgeous. I had to hover over the picture several times to see if you made any changes other than paint because it was so dramatic. great job. That is a fantastic transformation! It looks so great. That makes an amazing difference. Thanks for sharing it! Wow, this looks great! The lighter color really freshens things up. Absolutely gorgeous! I love how you made it so modern, warm and cozy! I really like how the color you've painted your built-in shelving compliments the tones in your brick; what a great project. That is a perfect transformation! It looks so nice.Thanks for sharing it! This looks inspired, there are only a handful of blogs that are inspiring to read and yours is definitely one of them! This would be a great project that i could do for my sister's home, she got new curtains in Perth a month ago and I'm inspired to make her mantle remarkable.